Auction 10/6: A good tract of land with something for all buyers. This land offers frontage on 3 roads giving good access and offers a good amount of marketable timber. With immediate hunting rights granted, this will be one to check out. Parcels range in size from 10 to 20 acres. Feel free to walk this land at your convenience to see all it offers. 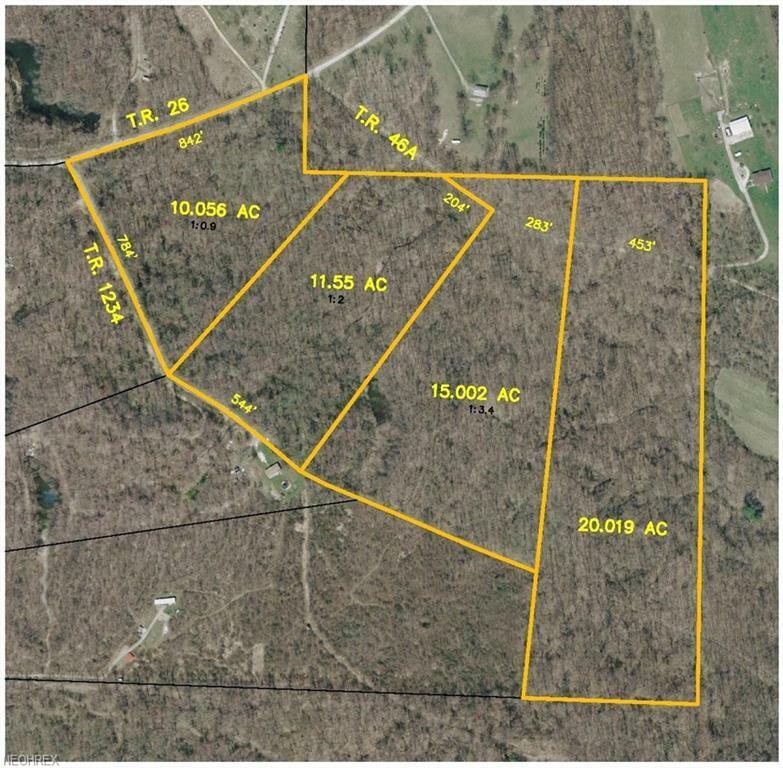 Parcel 1: 10.056 Acres w/ 842 Frontage on TR 26 & 784 Frontage on TR 1234. Parcel 2: 11.55 Acres w/ 204 Frontage on TR 46A & 544 Frontage on TR 1234. Parcel 3: 15.002 Acres w/ 566 Frontage on TR 46A Parcel 4: 20.019 Acres w/ 906 Frontage on TR 46A 10% Buyers Premium. More photos coming!